Is there a better alternative to Restaurants? Is Restaurants really the best app in Cooking category? Will Restaurants work good on macOS 10.13.4? 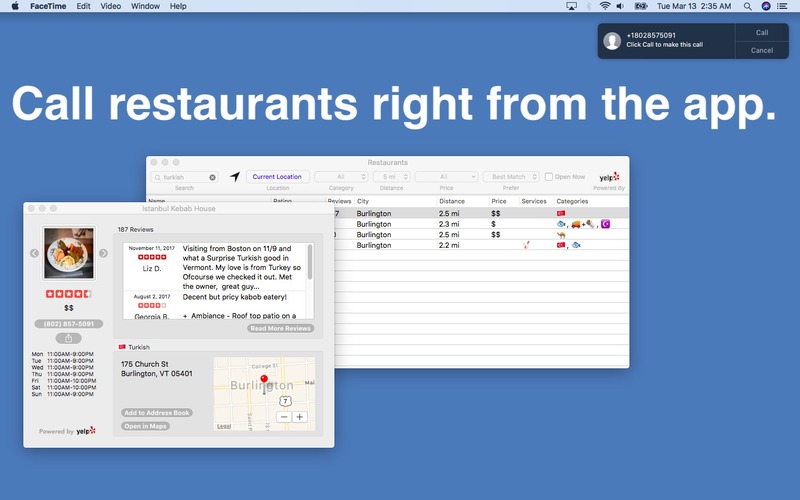 Restaurants is the fastest way to figure out where to eat. 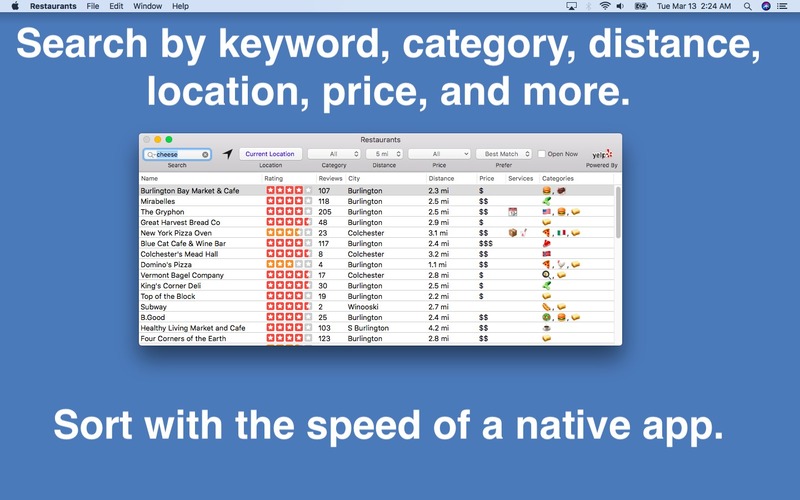 Powered by Yelp, Restaurants provides the speed and responsiveness that only a native Mac app can. 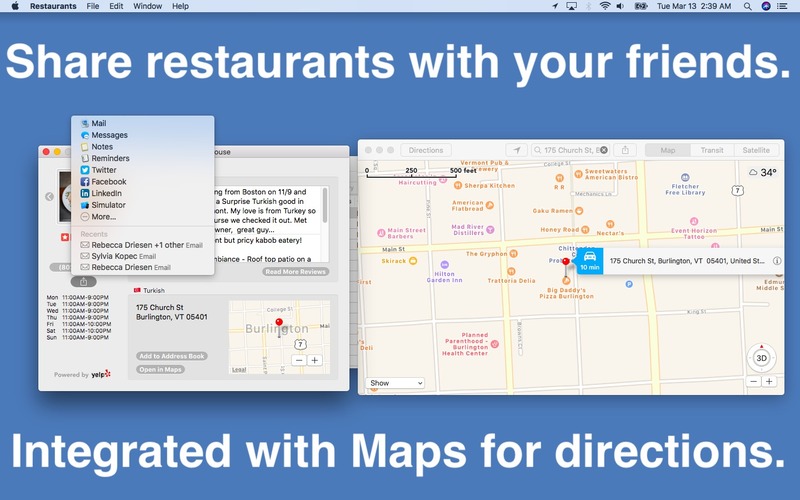 Search for restaurants by keyword, location, category, and distance. Sort the results by rating, distance, and more. Fast and responsive - get results instantly via the power of a native app. Use your current location for searches automatically. Integrated with your Mac - Call restaurants with Continuity. Get directions in Maps. 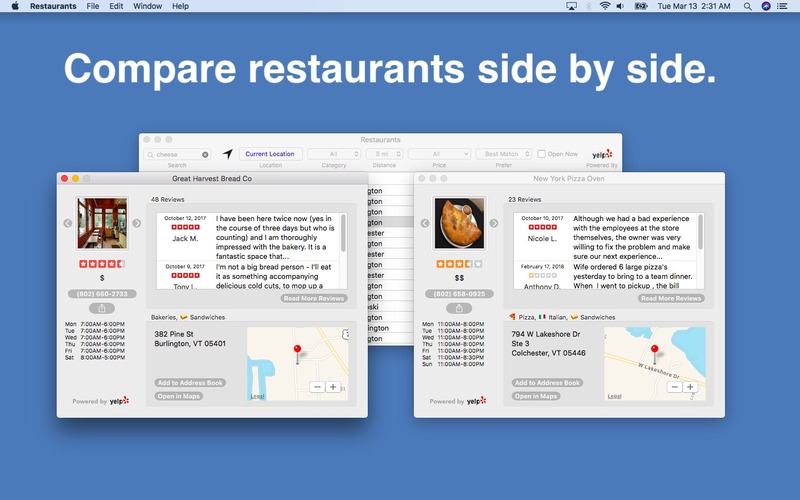 Share restaurants with friends via your OS X social accounts. Restaurants needs a review. Be the first to review this app and get the discussion started! Can't decide? Let Restaurants pick a random restaurant based on your criteria for you. *Yelp is a registered trademark of Yelp Inc. Yelp Inc. neither endorses nor is affiliated with Restaurants.